It will be next Friday, October 7 when one of the greatest international authorities on the Jacobean routes, the Italian Paolo Giuseppe Caucci von Saucken visit the town of Monforte de Lemos lucenese to star in a conference on Winter Road. The talk will take place at 19:00 pm at the Centro do Vinho da Ribeira Sacra. The event has been organized by the Camiños association to Santiago pola Ribeira Sacra, which has managed to bring this renowned professor of Spanish literature at the Italian University of Perugia as the main claim, who has written many works about the Pilgrims and the Way of Santiago since the seventies, long before some Spanish administrations preocupasen again by the way. 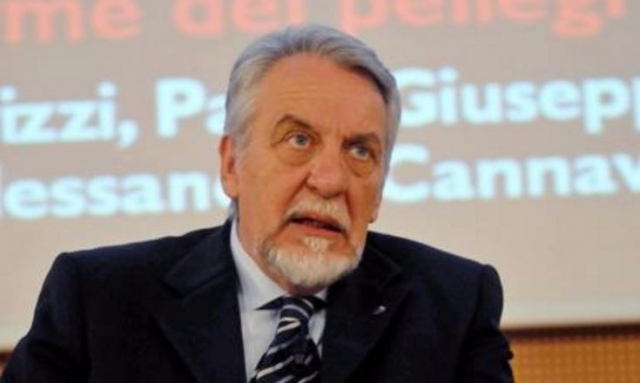 Since 1992 Paolo Giuseppe Caucci von Saucken is also chairman of an international committee of experts on the Camino de Santiago and was responsible for European Cultural Routes program of the Council of Europe regarding the Compostela routes. The exhibition will review the journey of the Italian monk Gian Lorenzo Buonafede Vanti that between 1717 and 1718 traveled to Galicia and left written his experience in memory "Viaggio occidentale to San Giacomo di Galizia, Nostra Signora della Barca and Finis Terrae". this paper has an important place among the works of hundreds of pilgrims who, over the centuries, decided to stop collecting their experience on their way to Santiago. Report Camino de Santiago: Why is it perfect to relax?